Research companies you are interested in by creating and maintaining a list you wish to target, then check their website or look them up on LinkedIn or Facebook. Make sure to look into their corporate culture to determine if you would be a good fit. If you like what you see, apply online using a current resume! Build your brand by utilizing Social Media sites like LinkedIn and Facebook to portray yourself professionally. This provides recruiters and employers a strong positive first impression of you as a hirable candidate. When using job search engines, such as CareerBuilder, Indeed, Dice and Monster, input specific keywords that match your interests and the location where you want to work. 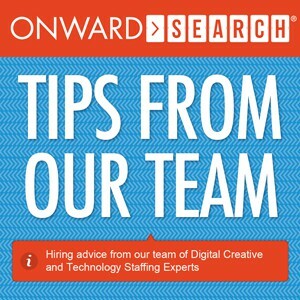 Narrow your search criteria and focus on the jobs that match your background and experience….do your homework! Expectations – what are you expecting in a candidate? Set clear attainable goals, make sure your expectations are clear and provide frequent feedback no matter if it’s big or small. It will go a long way in making a person perform more efficiently. It’s very important to communicate clearly with your team consistently as poor communication often creates problems within an organization. Managers are leaders with an opportunity to impact his/her team ensuring their success by keeping everyone motivated with positive morale. Offer incentives, rewards and recognitions to ensure strong production. 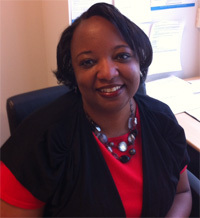 If you’re in need of digital marketing, creative or technology talent in the Atlanta market, connect with Gwen on Twitter @GMPhilli or give her or a member of our Atlanta team a call at 877.662.9874. Job seekers can search our nationwide jobs to see what’s available and employers looking for talent can submit a request to their local market.